On September 11th 2013 Bianca Jagger joined award winning Norwegian filmmaker and music producer Deeyah Khan, founder of Fuuse, to present the production company’s first live music event – Iranian Woman. 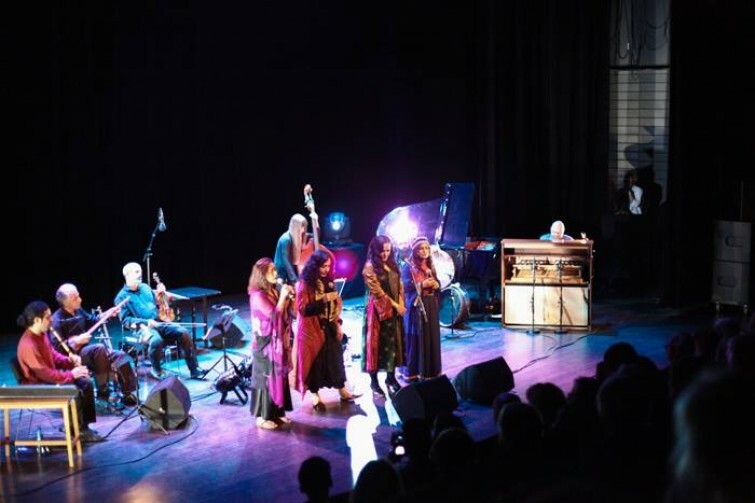 A concert and conversation, the event was intended to support feminism and freedom of expression, featuring musicians from both Iran and Norway playing together at Oslo’s popular arts venue, Riksscenen, to a packed house — and great acclaim. In Iran, women experience many limitations. Female singers cannot perform solo in public. 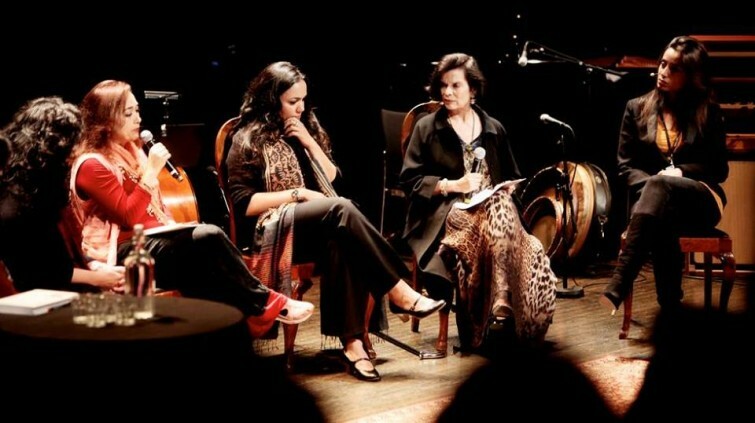 This event featured several prominent Iranian female artists including Mahsa and Marjan Vahdat, Mamak Khadem, and Yasna who were joined in conversation by writer Tooka Maleki, allowing Norwegian audiences a rare chance to experience the beauty of traditional Iranian music, and the artistry of these courageous musicians. Bianca Jagger is the Founder and Chair of the Bianca Jagger Human Rights Foundation, Council of Europe Goodwill Ambassador, member of the Executive Director’s Leadership Council of Amnesty International USA and Trustee of the Amazon Charitable Trust. She is a prominent advocate international human rights, social justice and against climate change. For over three decades she has been a voice for the most vulnerable members of society, campaigning for human rights, civil liberties, peace, social justice and environmental protection throughout the world. Deeyah founded Fuuse to express her passion for human rights through a fusion of art, activism and dialogue. This includes producing film and music, and organising arts, music and conversation events. 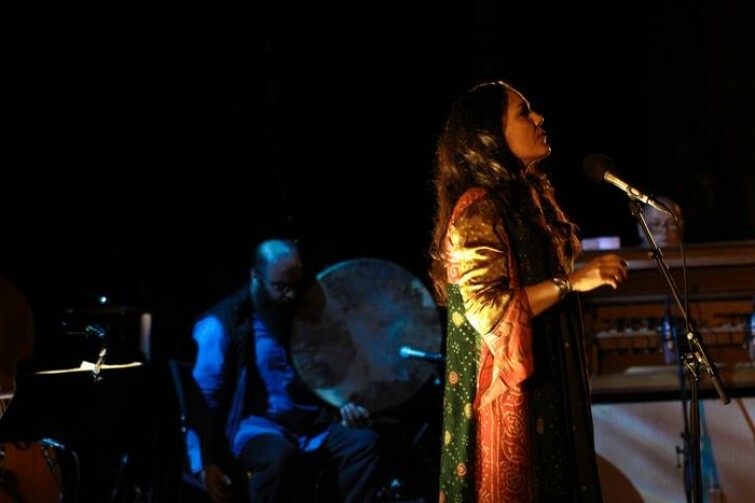 Mahsa Vahdat is one of Iran’s foremost traditional female singers. 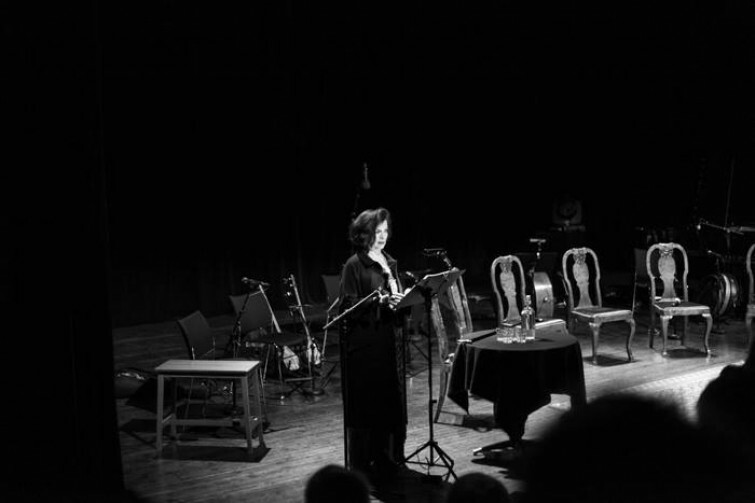 She is a trained singer and pianist from the Art University in Tehran in 1999, has toured and performed in the West since 1995, and is an important tradition bearer and teacher in Iran. She has also been appointed to the FreeMuse ambassador, and is engaged in matters of artistic expression. She is fairly well-known to Norwegian audiences through her musical releases and concert tours. Mamak Khadem has been called “… one of the wonders of world trance music” by The Los Angeles Times. She blends ancient Persian poetry and music with a bold new sound. She is open to cultural influences, but has opted for the classic Persian style of music as a base for her musical expression, which she uses to explore the mix of eastern and western traditions. Yasna Maleki was born in Tehran, and educated in the traditional Iranian classical repertoire known as Radif. She has taught the vocal styles of previous generations of singers like Mohsen Keramati, Hasan Kasaee and Shahram Nazeri. She also plays the sitar and tunbak (a single headed drum), which she learned from masters such as Parissa, Mohamad Reza Ebrahimi and Sadegh Taarif. Marjan Vahdat is Mahsa Vahdat’s sister. They have collaborated in numerous projects around the world, including CD productions. She studied piano and Persian song with pivotal figures in traditional music, and has participated in several international festivals – in Norway amongst several other European countries and the United States. Twinklings of Hope (KKV 2012), which featured Marjan along with Mahsa Vahdat, Pasha Hanjani, Atabak Elyasi, Ali Rahimi, was the winner of the World Traditional Album in the 12th Annual Independent Music Awards in the United States. The event was arranged by Fuuse and SafeMUSE (Safe Havens Music Initiative / MFO) and Riksscenen, with support from Music Norway and Fritt Ord. The event was held in connection with the CD Iranian Woman, released by Fuuse in collaboration with Grappa Music Group in Autumn 2013. The CD is a compilation of music from 13 Iranian female artists, some living in Iran, and some in exile due to the policies of the Islamic Republic. The CD was produced by Deeyah Khan and created in celebration of the female voice and traditional music of Iran.